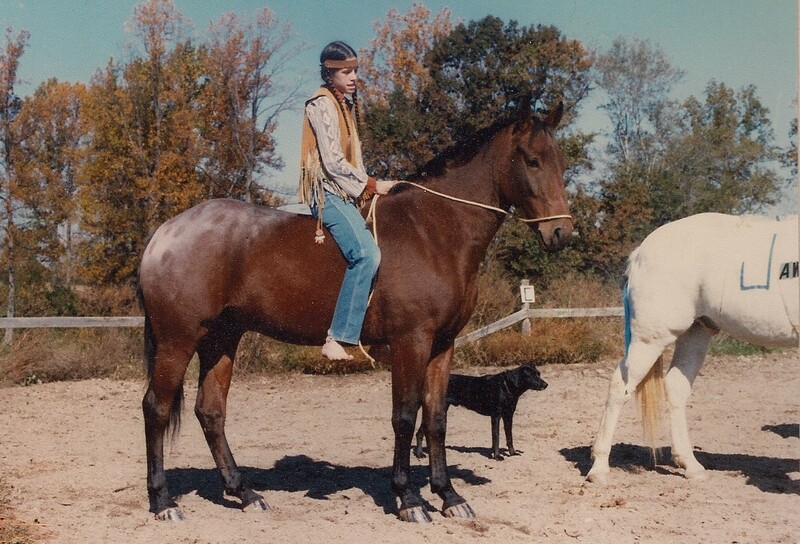 A well-bred Appaloosa who turned out plain bay. This is how I dressed him for Halloween. Note the stripes on his hooves. His breeder was not amused. Also note Jaws next door. Yes, before I owed four plain bay geldings (all Thoroughbreds), I leased three horses. All – wait for it – plain bay geldings (TB, TB/QH & App). This is why Hubby is convinced I will end up with yet another bay, TB gelding. how did you stripe the hooves? Why did you stripe the hooves? Appys (appaloosas) have striped hooves.